HomeNews & Social MediaSanya NewsNational Day Holiday in Sanya…rain or shine! National Day Holiday in Sanya…rain or shine! If you’re down in Sanya for a much needed vacation over the National Day break or living through the 19th tropical storm of the season, this weekend is surely one for the record books. However, since you may have the time off work, there are still alternatives to sandy beaches, water sports, and sunshine. Sanya has alternate activities that can help make the storm time pass a little better. It may even be a chance to get together with family & friends and revisit traditional interests or try something new. If the weather is calmer, without the heavy winds and rain, going out may still be possible. Be sure to take an umbrella and shoes that can get wet. Bowling – While it’s not publicized as a large, public bowling alley, there are a few lines available. This is a fun activity for those with experience as well as the first time beginner. 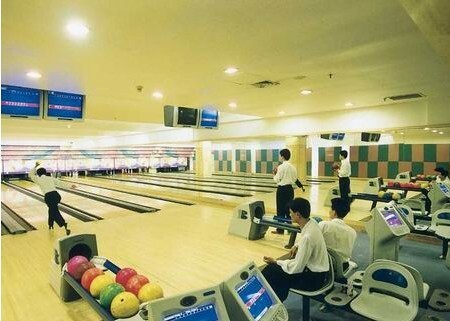 Located in the Dadonghai area, inside the Sanya Shanhaitian Hotel, there are 10-pin bowling lanes available for use. Arcade – This is a way to take advantage of the power of the storm….by getting your aggressions out with games at the arcade! There are all kinds of electronic games, classic games, air hockey, basketball games, and more. Play together and win some prizes. 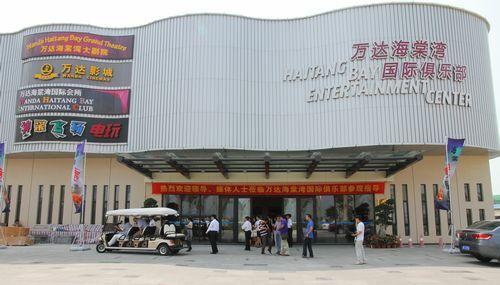 Cinema – While few people come to Sanya planning to go to the cinema, this might be a special circumstance to go. While multiple movies are currently playing, note that this week only Sanctum and Captain America are playing in their original English format. KTV/karaoke – Getting the friends & family together is why the government declares a 7 day break from work. This classic Asian group activity is a way to show one’s talents in singing. There are many KTV places with varying quality decor and services around Sanya. A quick search engine query should reveal the choices nearest to you. Some hotels have a few KTV rooms within the hotel. Before venturing out, it might be best to ask the concierge. Tropical storm Nalgae could turn out to be the worst to hit Sanya in 6 years. Under these circumstances, it would be advised to consider safety first and remain at your residence. Besides being difficult to find transportation, walking around in powerful winds and a downpour is dangerous. No need to risk it when you can do these instead. Board games! Yes, the classic way to have fun with others could be the bad weather savior you have been looking for. Find that game which has produced so many laughs in the past, dust it off, and share it with others. 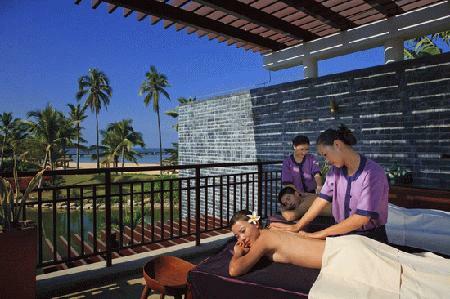 Massages & Spas – In Sanya, there are seemingly limitless options for massage and spa treatments. Hopefully, there is one near you. Spoil yourself a little and get a service/treatment that you wouldn’t normally have. It’s a holiday time! Workout – Everyone knows the benefits of a good workout. It’s good for the body and the mind. Excuses are what normally stop most people from a good workout. During a storm like this, there aren’t a lot of alternatives. Slide a workout or two in. It could be one of the more uplifting parts of the National Day holiday. Eat – Uhem, err, splurging on a lavish meal is a great way to make the best of a long, rainy period. Find a place to get the tasty dishes, delicious snacks, and special drinks near you. Forget about any worries and enjoy the moment. Obviously, turning to the internet for entertainment alternatives is easy. But that’s what most people do during any normal free time. This is typhoon free time! Surely, it deserves a bit of creativity and respect. The author loves and has lived in Sanya for more than 2 years. If you have a chance to return to Sanya again, you might be able to take advantage of an all-inclusive Mandarin learning program on the beach. www.beachchinese.com.